A sort-of review of My Yeti Cyclocross Bike. Cyclocross racing combines shoulder to shoulder racing, and maximum effort for 40 minutes to an hour, over a mix of dirt (mud), gravel, and pavement. It also requires a VW Caravan, an extra bike, etc., so, if you like spending money, it’s for you. I’ve raced a couple times, finishing comfortably near the back of the pack. Luckily, because there are like 8 million people racing at one time, no one knows how they did until the results are posted – I’m usually miles away by then. In all seriousness, it’s a hoot. It can be pretty hard on the gear, with crashes, flats, and mud induced “technical” leaving your expensively stranded mid race. But, I enjoy it. And as an all around, get around bike, a cyclocross bike is hard to beat. The combination of 10-speed sportiness with slightly wider tires let you cover the miles, while also dealing effectively with the occasional debris in the bike lane, or even a bit of trail riding, if you don’t mind the lack of suspension. I have a history of getting my gear stolen. It’s my way of always having the latest and greatest gear. Unfortunately, I never seem to have renter’s insurance when the crime happens, but, such is life. I can’t speak to the incidence of property theft from ME, vs America as a whole, but, since 1997 I’ve had 3 bikes, and 2 cars stolen (technically, it was one car stolen twice). The bikes are our reference point today. 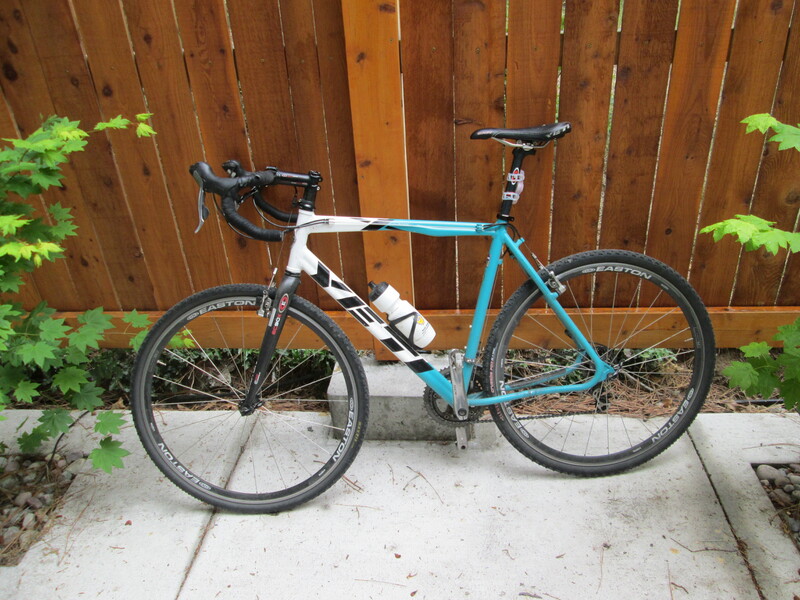 My first stolen bike, was my beloved Takara road bike, purchased for $20 in seattle in 1997. It was at least 15 years old, but in mint condition. The crime was never solved, but I’m pretty sure that it was that nefarious villain Strawberry Shortcake, based on the bike left in it’s place. 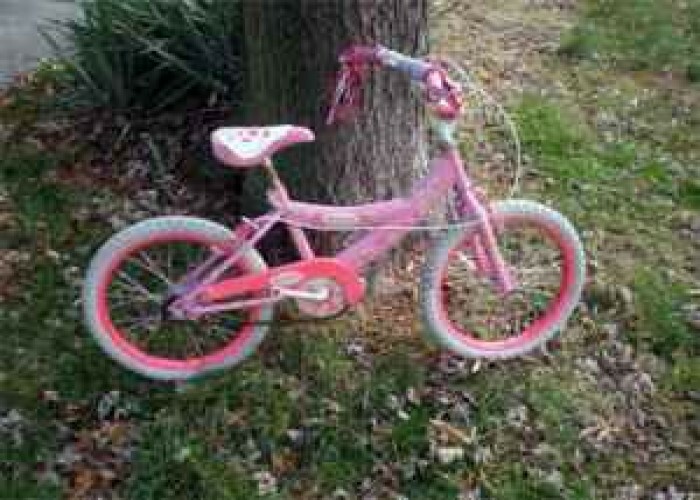 Apparently the great recession has really put a hurt on the local CSI, as finding a pink pixie on a 60 cm road bike shouldn’t be that hard. I replaced it with a fun Felt road bike, which I still enjoy today. A couple years later, my equally well loved, but significantly newer Haro Mt. Bike was stolen from my place of work. A High School. During daylight hours. Awesome. I replaced this a couple times, but I’ve since moved up to the Maverick Durance, discussed HERE. But eventually, finding that money deprived me of common sense, I bought a Felt FX1 Cross bike, and even raced it a couple times. I’d even upgraded the wheels, etc.. I assume that a group of ninjas of the foot clan scampered over my fence and made off with it. Suffice to say I was miffed. But, on the other hand, I ended up with this sweet Yeti Cyclocross bike. The Yeti is cool on many levels. The way it was engineered, it handles a lot more like a mountain bike than a road bike, giving an oafish galoot like me more nimbleness on the trails. The downside to this would be that I give up some high speed stability, but, I have a road bike for that type of foolishness, and I seldom reach those speeds where it matters. And I never reach them comfortably. I have a fairly standard set up. I use clincher tires (that is the kind that you put innertubes in). I also have two chain rings (the front gears), where a racer might just have one. This is more versatile, and more appropriate for just knocking around, but if I do get into / back into racing, it’s more stuff to become fouled with mud in a race. The tubeless tires let me run lower pressure, which makes the bike handle better, but also makes the bike less likely to get flat tires. It’s a fun bike, and I’m not looking forward to replacing it when the law of averages hits, and it gets stolen (I’m kidding, hopefully my loss rate is WELL above the mean: I hope to keep this bike for years to come). It is often said, if you only have one bike, make it a cyclocross bike. With the versatility and trail worthiness of this bike, this is very true.